Our Savior’s Cries from the Cross by Charles Spurgeon. Now available on Amazon in paperback and Kindle formats. Let the Prince of Preachers bring you to the foot of the cross to behold the glory of our Savior. 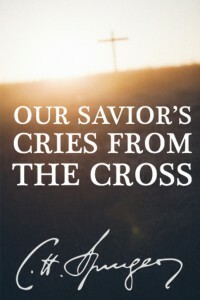 Our Savior’s Cries from the Cross is available for Kindle and in paperback. John 19:26-27 – When Jesus saw his mother and the disciple whom he loved standing nearby, he said to his mother, “Woman, behold, your son!” Then he said to the disciple, “Behold, your mother!” And from that hour the disciple took her to his own home. To cease from prayer is to renounce the consolations which our case requires. 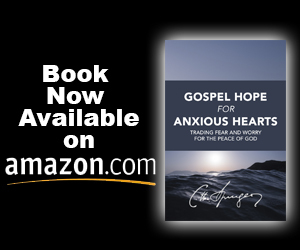 Under all distractions of spirit, and overwhelmings of heart, great God, help us still to pray, and never from the mercy-seat may our footsteps be driven by despair. I feel as though I could better kneel before my Lord’s cross at this moment than stand in this pulpit to talk to you. I want to adore him; I worship him in heart for that prayer; if I knew nothing else of him but this one prayer, I must adore him, for that one matchless plea for mercy convinces me most overwhelmingly of the deity of him who offered it, and fills my heart with reverent affection. Remember, my dear hearer, if there be nothing good in you, and if there be everything conceivable that is malignant and bad, yet none of these things can be any barrier to prevent Christ’s exercising the office of Intercessor for you. He lives, and while he lives he pleads; and while there is a sinner upon earth to be saved, there shall be an intercessor in heaven to plead for him. I believe that there is never presented to God anything but a perfect prayer now; I mean, that before the great Father of us all, no prayer of his people ever comes up imperfect; there is nothing left out, and there is nothing to be erased; and this, not because their prayers were originally perfect in themselves, but because the Mediator makes them perfect through his infinite wisdom, and they come up before the mercy-seat moulded according to the mind of God himself, and he is sure to grant such prayers. O ye trembling believers, trust him with your concerns! Come hither, ye guilty, and ask him to plead for you. O you that cannot pray, come, ask him to intercede for you. Tell to sinners that sin will damn them, that Christ alone can take away sin, and make this the one passion of your souls, “Father, forgive them, forgive them! The gospel is meant also for those who persecute religion; it aims its arrows of love against the hearts of its foes. My brethren, you must not live to yourselves; the accumulation of money, the bringing up of your children, the building of houses, the earning of your daily bread, all this you may do; but there must be a greater object than this if you are to be Christlike, as you should be, since you are bought with Jesus’ blood. Begin to live for others, make it apparent unto all men that you are not yourselves the end-all and be-all of your own existence, but that you are spending and being spent, that through the good you do to men God may be glorified, and Christ may see in you his own image and be satisfied. At all times of the world’s history, when things appear to have gone to pieces, and Satan seems to rule the hour, do not let us despair, but be quite sure that, somehow or other, light will come out of darkness, and good out of evil. Grace can transform a reviling thief into a penitent believer. I very gravely question whether there was ever greater faith in this world than the faith of this thief; for he, beyond all others, realised the painful and shameful death of the Lord Jesus, and yet believed. I wish that some who have been professors for years had as clear a faith as the thief; but they are too often confused between law and gospel, works and grace, while this poor felon trusted in nothing but the Saviour and his mercy. True faith confesses Christ, and, at the same time, confesses its sin. There must be repentance of sin and acknowledgment of it before God if faith is to give proof of its truth. A faith that never had a tear in its eye, or a blush on its cheek, is not the faith of God’s elect. He who never felt the burden of sin, never felt the sweetness of being delivered from it. We have heard people talk about this dying thief as if he never did anything for his Master; but let me ask the Christian church if it has not members in its midst—gray-haired members, too, who have never, through fifty years of profession, borne one such bravely honest and explicit testimony for Christ as this man did while he was agonising on the cross. If a sick man cares more for pardon than for health, it is a good sign. Soul mercies will be prized above all others where faith is in active exercise. Dead souls live in an instant when the breath of the Spirit quickens them. 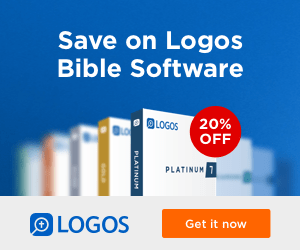 Thu art saved if thou believest in Jesus. The finished work of Christ is thine. The misery, that men will suffer in the world to come, will be self-created misery arising out of the fact that they loved sin so much that they brought eternal sorrow upon themselves. If you bring me a gospel which can only be understood by gentlemen who have passed through Oxford or Cambridge University, I know that it cannot be the gospel of Christ. He meant the good news of salvation to be proclaimed to the poorest of the poor; in fact, the gospel is intended for humanity in general; so, if you cannot make me understand it, or if, when I do understand it, it does not tell me how to deliver its message in such plain language that the poorest man can comprehend it, I tell you, sirs, that your newfangled gospel is a lie, and I will stick to the old one, which a man, only a little above an idiot in intellect, can understand. Was there ever any other love like this,—that the Prince of life and glory should condescend to this shame and death? Hate sin, and heartily loathe it; but thirst to be holy as God is holy, thirst to be like Christ, thirst to bring glory to his sacred name by complete conformity to his will. Sin destroyed Christ, and by that destruction Christ destroyed Sin. Lo! the Saviour stands to-day with the keys of death hanging at his girdle, and he waits until the hour shall come of which no man knoweth; when the trump of the archangel shall ring like the silver trumpets of Jubilee, and then he shall say, “Let my captives go free.”Then shall the tombs be opened in virtue of Christ’s death, and the very bodies of the saints shall live again in an eternity of glory. The words “It is finished!”consolidated heaven, shook hell, comforted earth, delighted the Father, glorified the Son, brought down the Spirit, and confirmed the everlasting covenant to all the chosen seed. Why improve on what is finished? Why add to that which is complete? The Bible is finished, he that adds to it shall have his name taken out of the Book of Life, and out of the holy city: Christ’s atonement is finished, and he that adds to that must expect the selfsame doom. God as much accepts a sinner who only believed in Christ five minutes ago, as he will a saint who has known and loved him eighty years, for he does not accept men because of any anything they do or feel, but simply and only for what Christ did, and that is finished. Oh, my brethren, you will not do better, after all, than to quote Scripture, especially in prayer. There are no prayers so good as those that are full of the Word of God. If God is our Father, and we regard ourselves as going home when we die, because we go to him, then he will receive us. Let us enjoy the high privilege of resting in God in all times of danger and pain.